Did the history of human rights begin decades, centuries or even millennia ago? What constitutes this history? And what can we really learn from 'the textbook narrative' - the unilinear, forward-looking tale of progress and inevitable triumph authored primarily by Western philosophers, politicians and activists? Does such a distinguishable entity as 'the history of human rights' even exist, or are efforts to read evidence in past events of the later 'evolution' of human rights mere ideology? This book explores these questions through a collective effort by scholars of history, law, theology and anthropology. 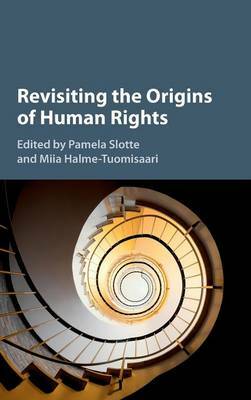 Rather than entities with an absolute, predefined 'essence', this book conceptualizes human rights as open-ended and ambiguous. It taps into recent 'revisionist' debates and asks: what do we really know of the history of human rights?